Help save lives one clean toilet at a time. On November 13, World Toilet Day 2015, practice proper toilet sanitation in 3 easy steps-apply, brush and flush. 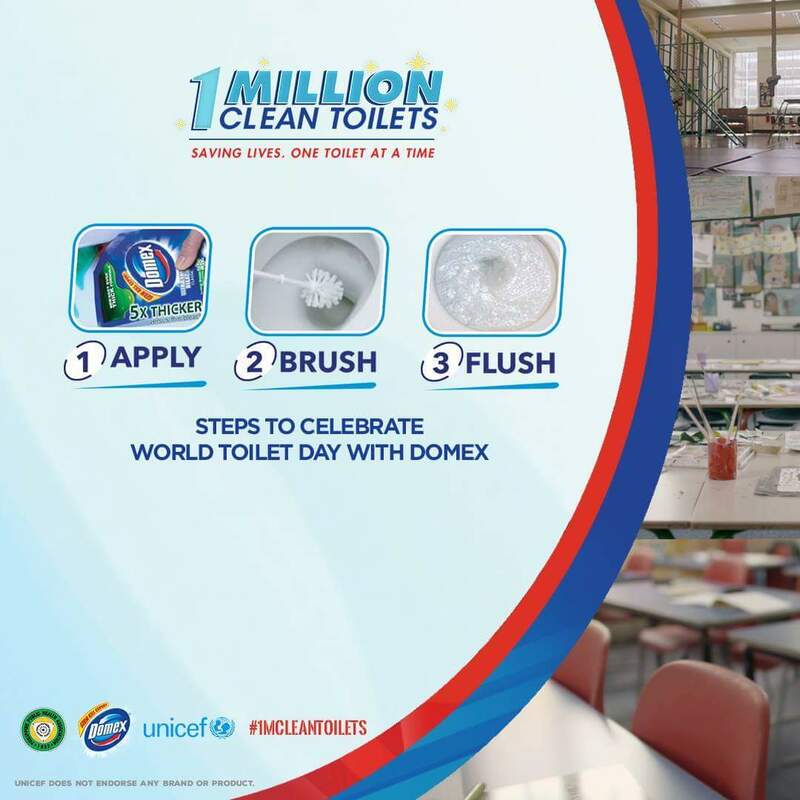 Unilever Homecare Group and its brand Domex continues to encourage and educate all Filipinos developing the habit of proper toilet sanitation to prevent diseases. On its 3rd year, #1MCleanToilets Movement solidifies partnership with Philippine Public Health Association and UNICEF that for every bottle purchase of Domex, Php5.00 goes to the UNICEF Sanitation program building one million clean toilets in areas not accessible to many of our kababayan. 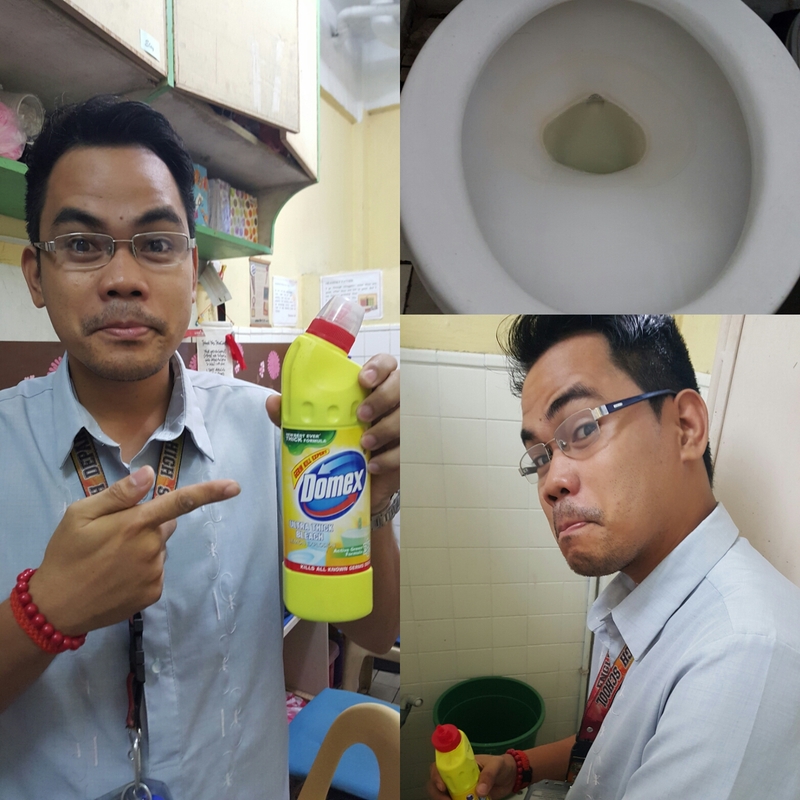 My co-teacher Paul Benjamin Paz of Lagro High School showed me how easy it is to join the #1MCleanToilets advocacy following the 3 easy steps to proper toilet sanitation. He simple applied Domex on the surfaces and the rim of the toilet bowl, invited me for coffee while we wait for Domex do its wonders, brushed the toilet bowl after 5 minutes and flushed. It was that easy we even had 20 minutes left for more snacks during breaktime. We all feel safe using the toilet in the English Department now with Domex, we help save lives donating money to UNICEF Sanitation Program. *Note: deadline of entries is on Monday Nov. 23 at 12noon.